The U.S. Will Registry was founded in 1997 to fill an important gap to provide families and other Will beneficiaries with a means to find lost Wills and estate planning documents of those who have passed away. When attorneys were questioned regarding how often they were asked for help in locating a loved one's will, they stated, "all the time". 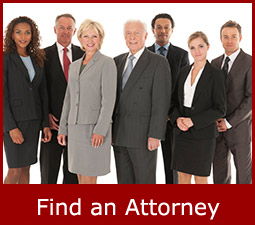 Many State Bar Associations claim they receive calls daily from desperate family's looking for help in locating a will. Prior to The U.S. Will Registry, the public and attorneys were helpless to find a missing will, or have the means to register a Will. 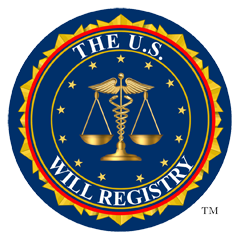 The public uses The U.S. Will Registry to register Wills, as well as search a missing Will prior to distributing an estate every day. Registering your Will is an essential part of the estate planning process. Registration assures you and your loved ones that your will remain private and located when needed. Your will itself is not stored, only the location is documented for the original and duplicate copy. Registering your will online protects your estate documents from ever being lost, destroyed or disappearing. Director of The U.S. Will Registry, Jerome Miller, has had the personal experience of not being able to locate his fathers will. It was only after 1 year that his fathers Will was first found. It was too late. It was after the probate period and after all assets were distributed. It was not the way it was intended, according to the Will. So it is with the personal passion that Jerome Miller is committed to reaching out to all organizations: Attorneys, Bar Associations, Alzheimer Association, Caretaker Associations, Funeral Homes and the public to be educated and include The U.S. Will Registry in all estate planning programs. The U.S. Will Registry Will Search is proven to reduce the risk of distributing an estate during probate on an assumed intestacy basis or when a Will or later Will may exist. There are many reasons why a Will may have been forgotten about, maliciously destroyed, or where an unknown more recent copy exists. The U.S. Will Registry provides a search process that searches for registered Wills dated back as far as 1967. The U.S. Will Registry is also proven to protect the Testator's beneficiaries by ensuring, through Will Registration, their Will can be found and their last wishes adhered to. The U.S. Will Registry does not disclose the existence of a Will or need to see a copy of it to register it. 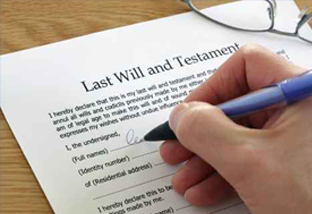 The existence of a Will is released to an attorney after a death has been confirmed by way of a death certificate. The U.S. Will Registry receives over 2500 missing will searches a month. It is imperative that anyone who has a Will, Register it. Registration is FREE, yet priceless!